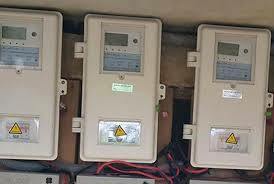 Ikeja Electric, one of the major electricity distribution companies (DisCos) in Nigeria, says it is deploying 85,000 new prepaid meters to bridge the metering gap in its business area. The DisCo, in a statement, said this was done as part of its renewed commitment to deliver the yearnings of customers, and further close the metering gap within its network. It added that “while abiding by the regulator’s guideline which states that all customers have a right to a properly installed and functional meter, and un-metered customer should be issued with electricity bills strictly based on NERC’s estimated billing methodology, it is also poised to reduce estimated billing with the deployment of prepaid meters”. The DisCo said it had therefore commenced the “roll-out of 85,000 meters to cover residential customers across its six Business Units,” in its first batch of renewed metering drive. The six business units include Ikeja, Abule-Egba, Akowonjo, Oshodi, Ikorodu and Shomolu. According to Felix Ofulue, head, corporate communications, Ikeja Electric, the company remains resolute in its commitment to meter all its customers and narrow the metering gap as quickly as possible. “Ikeja Electric wants to reassure customers and state clearly its plans to progressively reduce estimated billing thereby building customers trust in our services. At the moment, prepaid meters are being installed in different communities across the network,” he said. “While in other localities, pre-installation activities are ongoing and between now and the end of the year we will have concluded the first batch of the deployment.